Peru (Wycliffe Bible Translators USA) — Like women in America might meet to do quilting or to do crafts together, Corongo Quechua women get together to spin wool into thread, from which they will later make blankets and ponchos. For them, it’s a great time to visit and socialize. The women in one wool spinning group and their children love it that Abila Collantes, Corongo Quechua promoter, has begun coming to their gatherings to teach them God’s word in Quechua with pamphlets from Luke. 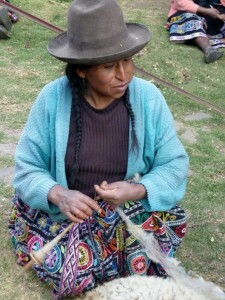 This group of 16 Corongo Quechua women meets every Friday. They spend the day together, first preparing lunch for the elderly and the disabled, then spinning wool together, and in conjunction with that, doing a lesson from Luke. These women are native Corongo Quechua speakers and exemplify the need for the translation project in Corongo, because they probably would not understand the gospel in Spanish. Many of the women have had difficulties in their marriages, sometimes struggling to get along with their husbands and with understanding each other. The lessons from the Scriptures brought these issues to the forefront. The women asked Abila for prayer and she has prayed with each one. “God is in our midst. God is with us in these difficulties” she told them. 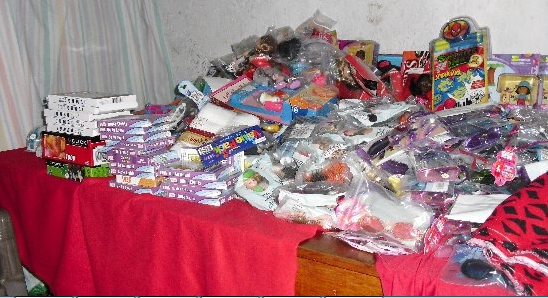 One couple with three small children was at the point of being separated. Abila went to their house to counsel them, “Think of your children, not just of yourselves,” she said. “Forgive one another and be reconciled. Decide to get along.” Happily, this couple is now united and does not fight any more. They have begun going to church again. Praise God for Scripture promoters who are teaching reading and writing in Corongo Quechua in the public schools, in partnership with local education offices. Along with translated Scripture, praise song books with recordings, riddle books and children story books have been produced. Pray that these materials will encourage learning and development among the Corongo Quechua people. Pray that many will use these resources. Pray that as the Corongo people learn more about God, they will seek to live by his principles. Pray that they will no longer live just for themselves and their own interests, but rather look to God to know what he desires for them. 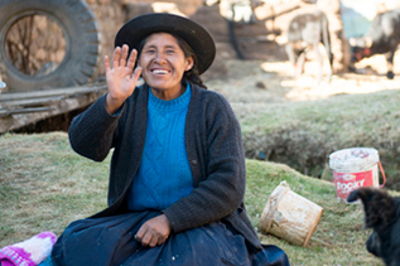 Pray additional materials translated by Wycliffe USA will encourage learning and development among the Corongo Quechua people. 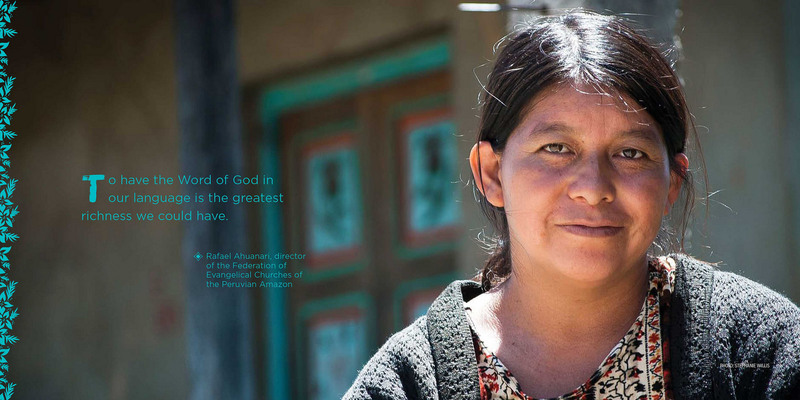 Pray that as the Corongo people learn more about God, they will seek to live by his principles. Pray that they will no longer live just for themselves and their own interests, but rather look to God to know what he desires for them.